This boards a real looker, don't you think? But beauty isn't just skin deep. 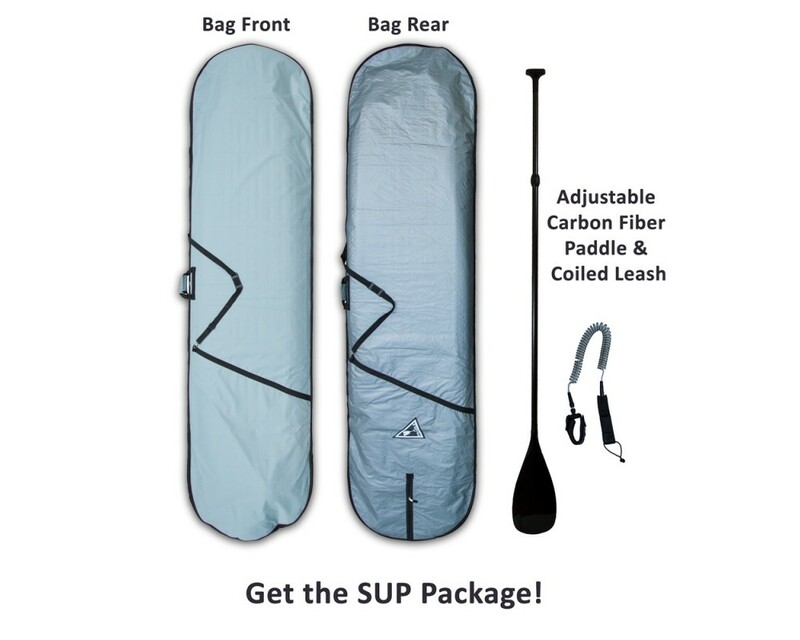 This woody SUP features a hand-shaped XPS foam core, full length wood stringer and a 2+1 fin setup for added versatility. 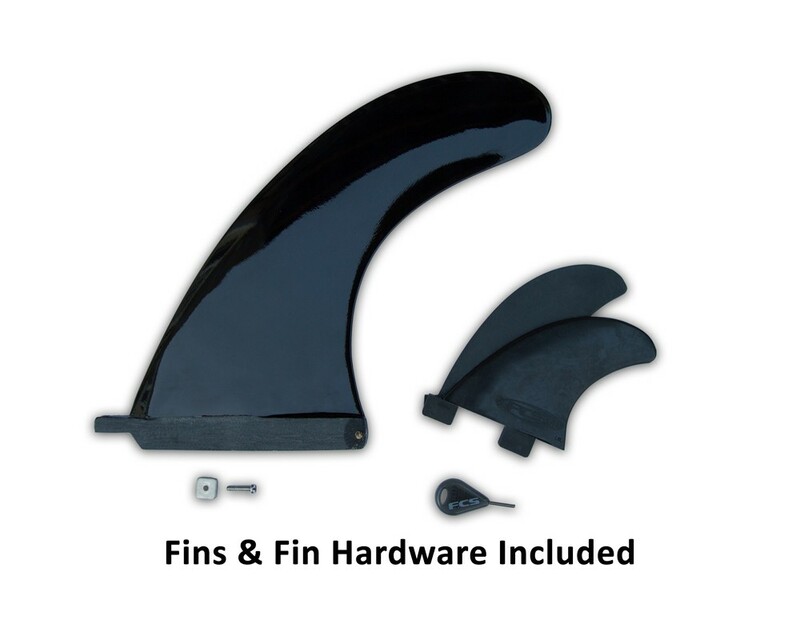 The epoxy resin is vacuum sealed with our premium 6 oz. + 6 oz. + 4 oz. fiberglass construction. 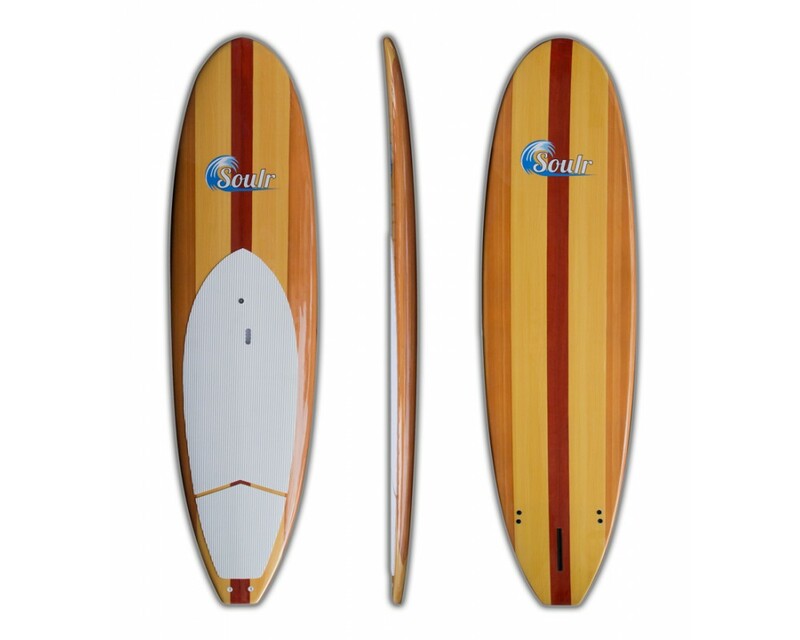 It's a great board for exercising on flat water, or catching a few waves in the open ocean. 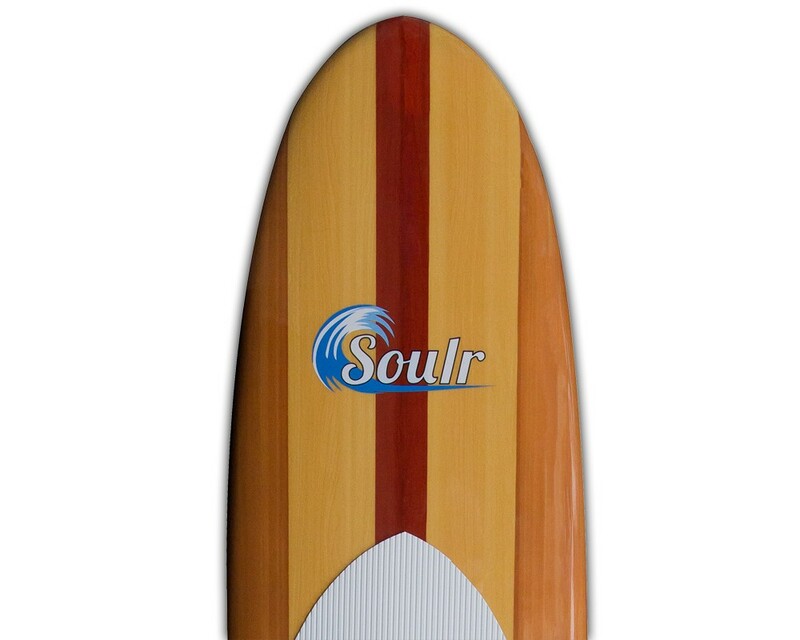 The squash tail provides a great amount of surface area, helping to push the board into the wave with ease. And the dual leash plugs ensure you'll never rip one out on a big wipe out. 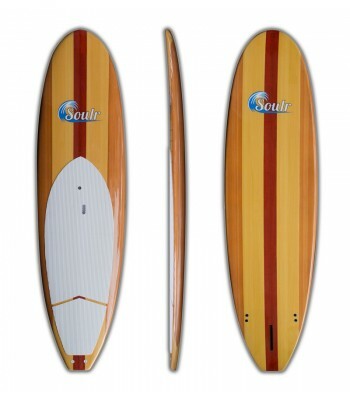 If you want a retro-styled SUP which utilizes modern construction techniques, then look no further than the Soulr 10'8" Light Woody Paddle Board! Size 10'8" x 32" x 5"